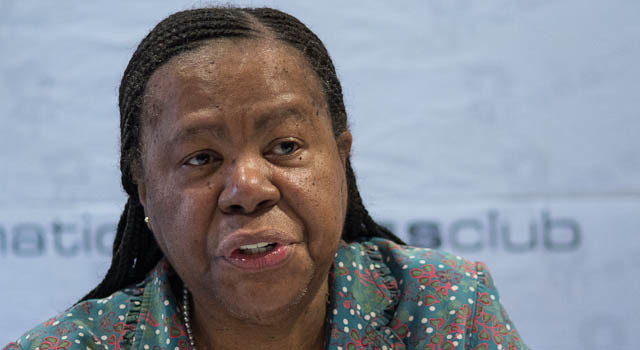 The development surrounding the Square Kilometre Array (SKA) project is a sign to the world of Africa’s capability of producing excellence, science & technology minister Naledi Pandor said on Friday. The SKA project is an effort to build the largest and most sensitive radio telescope in the world. Deploying thousands of radio telescopes, it will enable astronomers to monitor the sky in unprecedented detail and survey it thousands of times faster than any current system. The SKA telescope will be co-located in Africa and in Australia. “The SKA remains an important African endeavour with huge potential to raise the profile of science, technology and innovation development on the continent,” she said at the third SKA African partner countries ministerial meeting in Muldersdrift, west of Johannesburg. Pandor specifically went through the SKA project’s human capital programme, and how the project was changing the education climate in Carnarvon, the Northern Cape town near the SKA site. “For the first time, students from Carnarvon achieved university admission grades in mathematics and physical science. Five successful students have received full-cost undergraduate bursaries to various South African universities,” she said. Over the 10 years that the human capital programme had been around, 700 university academics, postdoctoral fellows, postgraduate and undergraduate students, as well as students training to be artisans, had been funded by SKA South Africa. SKA South Africa had also supported 133 students from other countries in Africa, with 91 of them coming from SKA partner countries. “The graduates from these countries tend to return home to establish or contribute to the astronomy efforts in their own countries,” Pandor said. She said a memorandum of understanding for institutionalising co-operation in radio astronomy among the SKA African partner countries would be signed at Friday’s meeting.